Showing recent results 1681 - 1695 of 4490 products found. Designed for RJ45/RJ11 modular cables, 10/100 base-T cable and Token Ring cable.● The LAN cable tester can verify cable continuity, open, short circuit and miss-wired. ● The remote receiving unit is available for installed cables far away either on the wall plates or on the patch panels.● Auto and manual scan functions.● Ground wire test. ● Lock status function.● Buzzer sound warning for wire status.● Display : LED indication for wire status. 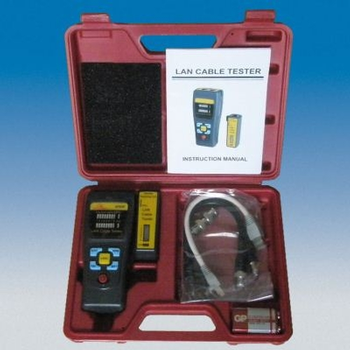 Designed for RJ45/RJ11 modular cables, 10/100 base-T cable and Token Ring cable etc.• The Lan cable tester can verify cable continuity, open,short circuit and miss-wired.• The remote receiving unit is available for installed cables far away either on the wall plates or on the patch panels.• Auto and manual scan function.• Ground wire test.• Lock status function.• Buzzer sound warning for wire status.• Display: LED indication for wire status. LC-LOOPBACK - PI Manufacturing Corp. 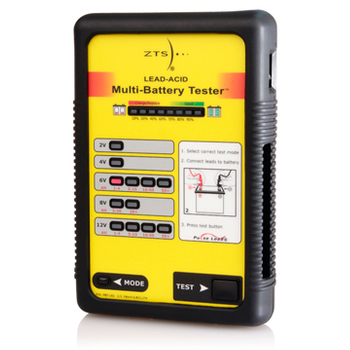 The ZTS Lead Acid Multi-Battery Tester (MBT-LA2) provides a comprehensive means of testing the state of charge and battery condition for 2-volt, 4-volt, 6-volt, 8-volt, and 12-volt lead acid battery types (SLA, AGM, Gel, Wet). 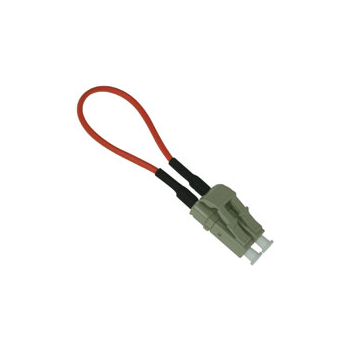 Lightweight, compact design make it an ideal tool for anyone working with lead acid batteries. 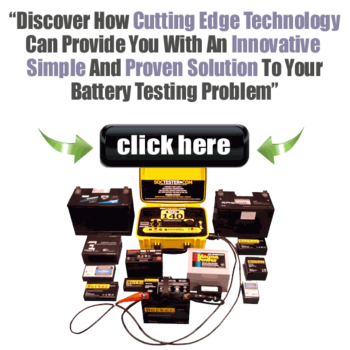 This microprocessor-controlled instrument tests popular batteries using a patented, high accuracy pulse load test. 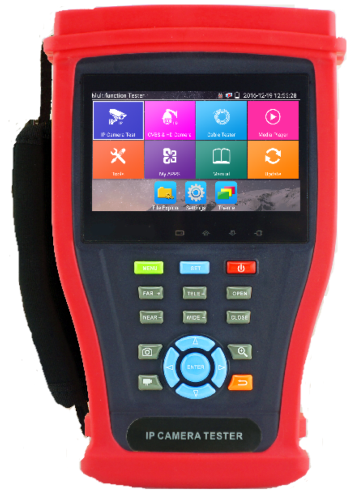 GT00YF00ZZ - GAO Tek Inc.
GAOTek IP Camera Tester is designed for simplifying maintenance and installation of IP cameras, analog cameras, TVI, CVI AHD, SDI cameras with 4.3″ IPS touch screen display . It can also used for testing 4K H.264 and H.265 camera by mainstream. The 960 x 540 resolution enables it to display network HD cameras and analog cameras in high resolution. It supports ONVIF PTZ and analog PTZ control. 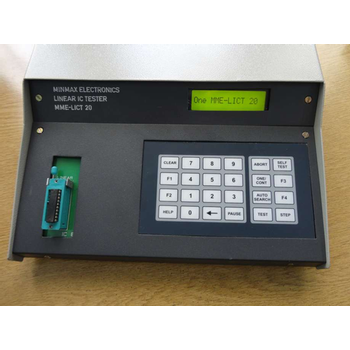 MME LICT 20 is the Microprocessor controlled LINEAR IC FUNCTIONAL TESTER from MINMAX ELECTRONICS. It functionally test a variety of linear ICs including commonly used Operational amplifiers, Comparators, Transistor arrays, Optocouplers, Analog switches, Multiplexer, Voltage followers, Timers, A to D converters, D to A converters, cross point switches and other selected special function analog ICs. 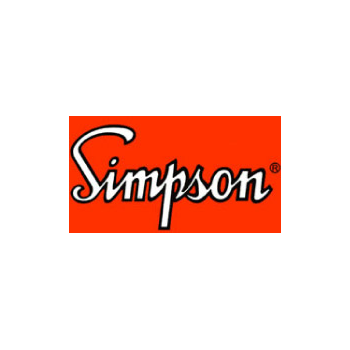 Simpson?s Model 8455 Line Loop tester detects line shorts, opens and multiple ringers, DC voltages and loop resistance. It can measure DC voltage up to 100 volts and loop resistance to 2 megohms. A front panel ?reverse polarity? switch allows changing polarity positions quicker and easier than manually switching test leads when making line checks. 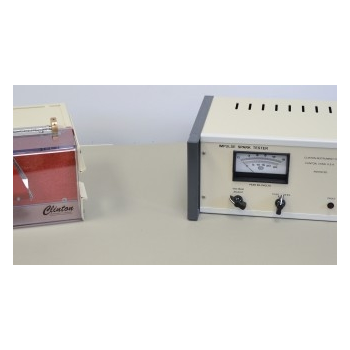 While most military standards now favor high frequency spark testing over impulse spark testing, the IT-25B Impulse Spark Tester is available for use in some aeronautic applications that still specify the impulse method. The IT-25B meets the test requirements of military specifications MIL-C-13777E, MIL-W-16878, and NEMA standards for hook-up wire used in high temperature wire applications. This method is favored as an alternate to a wet dielectric test. 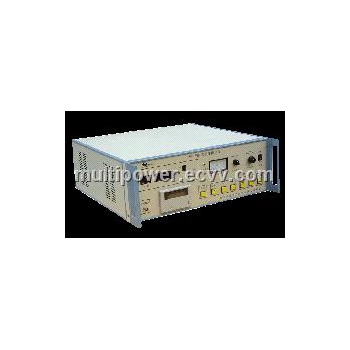 Impulse Winding Tester applied with high/ low inductance test technology has 1000V impulse voltage and 200MHz high speed sampling rate that can satisfy mos t of the power inductors test requirements for wide range of inductance products from 0.1uH to 100uH. The built-in Area Size Comparison, Differential Area Comparison, FLUTTER value and LAPLACIAN value functions are able to inspect the coils for poor insulation effectively. 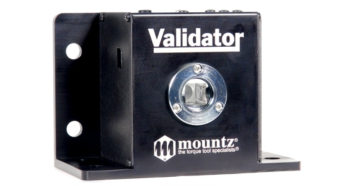 The Validator is designed for testing and calibrating torque wrenches. This tool is not suitable for power tools. 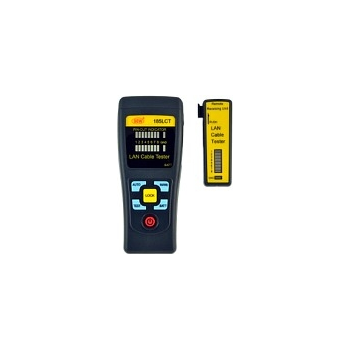 Ideal for checking torque tools on production floor daily or weekly to ensure the tools aren't falling out of calibration. Using a quality torque tester makes a safer world through accuracy and precision. Measuring torque is essential for companies to ensure their product’s quality, safety and reliability isn’t compromised. The failure of a three-cent fastener that isn’t properly tightened can lead to catastrophic or latent failures. 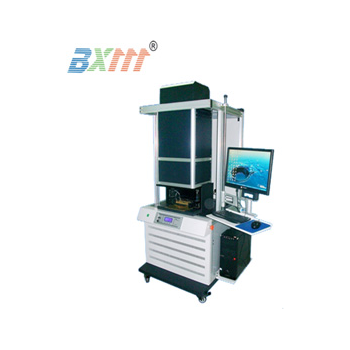 BXM-FXJ05A - Zhuhai Baixin Machinery Co., Ltd.
BXM FXJ05A solar cell tester and sorter. It flashes to simulate the sun shine to test the parametersof the solar cell and save in database. Can be output as a Excel file for printing or other operation. Result displayed on the screen. Can sort the cells in different level according to the setting. A complete handling cycle of loading, measuring and unloading of a cell specimen can be performed within approximately 8 seconds. 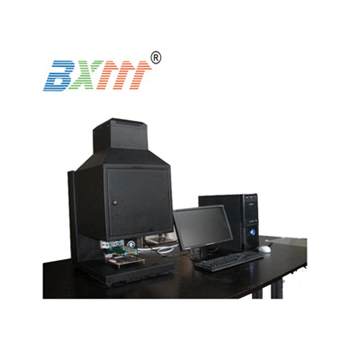 BXM-FXJ7 - Zhuhai Baixin Machinery Co., Ltd.
BXM-FXJ7 is our latest model solar cell tester and sorter. With class AAA light source, double probes touch between up and down, it controlled by a microcomputer, LCD screen display,Pulse xenon lamp flash pulse width can be adjusted,double flash for testing Rsh and Rs,and the combination of the sub file. The perfect accurate of the testing data and the stable performance. 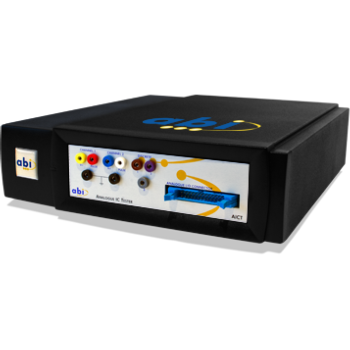 This sophisticated battery test equipment allows the battery tester to exercise and explore the battery's internal profile and produce a true state of charge revealing the batteries true AHR capacity and ability to perform under load.The 43 second load test application and analysis process has shown to be as reliable as the information derived from a standard 20 hour full battery discharge test. The SYSTEM 8 Analogue IC Tester is the answer to testing analogue devices. The key feature of the AICT is its ability to functionally test all common analogue ICs and discrete devices in circuit. 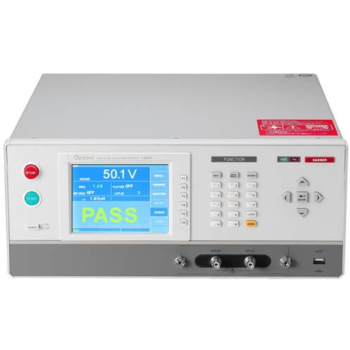 It is also capable of testing all types of analogue and digital components by means of the well-known, power off V-I test technique. For users requiring only the latter function, please select the Analogue Test Station section.